Backup your important data. Get a backup plan in place. It is almost tough to put into words just how significant it can be to backup your files. However, another thing is for sure: unless you want to lose your important files, ensure that you back them up. There are many reasons why we lose our files. Among them are data corruptions, viruses on the computer, human error, failure with the system or hardware, problems on the program or software and disasters. These instances are difficult to ignore and extremely difficult to prevent. This is why there is a need for us to support our data. 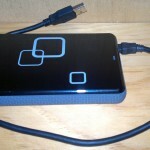 Usually, the pros make use of real time at a backup so they really will be able to keep their files safe and protected. You’ve heard the term Malware, but what is it? The term “malware” can be the combination from the words “malicious” and “software”. When it comes down to it, the term “malware” actually gets its definition from the intent of the creator and not in the function from the software itself. This is because an item of software can not be termed “malicious” unless it’s used for malicious purposes. As we all know, the objective of a tool for example software is dependent upon the creator.